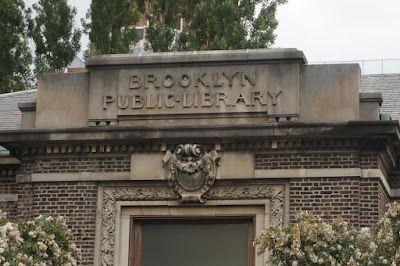 Tucked away near the terminus of a dead end side street across from some housing projects is the Walt Whitman Branch of the Brooklyn Public Library. Andrew Carnegie funded the library’s design and construction. At a time when most libraries were housed within larger buildings, the concept for the Carnegie branches was to house book collections in stand-alone structures. Like other Carnegie libraries, the building’s design adheres to classical principals. Constructed in 1908 at a cost of $101,455, the Neo-Classical style structure was designed by architect Rudolph L. Daus. The Historic Districts Council has highlighted some of the brick and limestone building’s architectural features in the following list: “foliated stone surround topped by a cartouche, denticulated cornice, original wooden book stacks, metal scalloped screens with Greek fret and egg-and-dart borders and original decorative metal railing”. A self-made man of humble beginnings, Andrew Carnegie was one of the most successful American industrialists of his time. Like many titans of industry he turned to philanthropy later in his career. One of his philanthropic enterprises was the building of Libraries. Carnegie funded many libraries across the country, as well as abroad. His foray into Brooklyn began in 1901 when he signed a contract with the city guaranteeing the construction of new libraries in the borough. 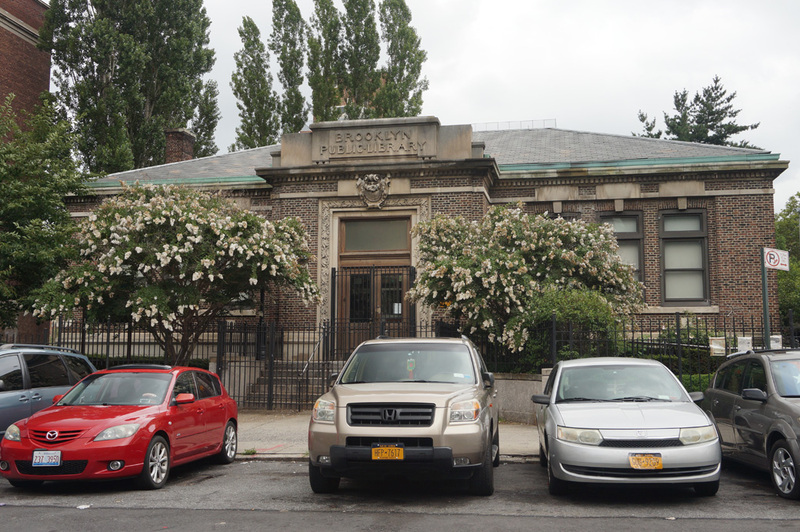 It was determined that the five areas with the greatest need for Carnegie branches were Williamsburg, Fulton, Carroll Park, Bedford and Stuyvesant / Bushwick. Carnegie’s philosophy behind the building of libraries was that those who wished to elevate themselves out of poverty could do so through self-education. 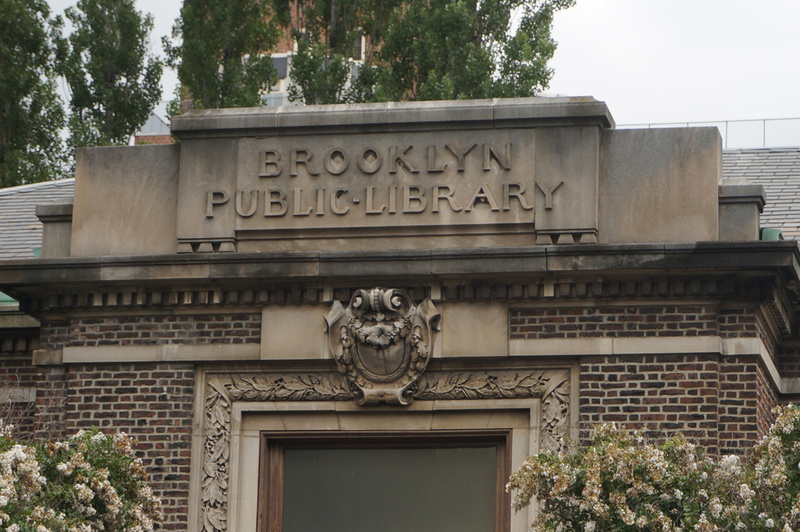 Historically, this library catered to a local demographic of Brooklyn Navy Yard workers by providing an extensive collection of books on naval architecture and science. Today, the library offers a place of learning for residents of numerous public housing communities. According to the Brooklyn Public Library, the Walt Whitman branch “is a popular destination for young people, many of whom come to the library to do homework or simply blow off steam playing games”.